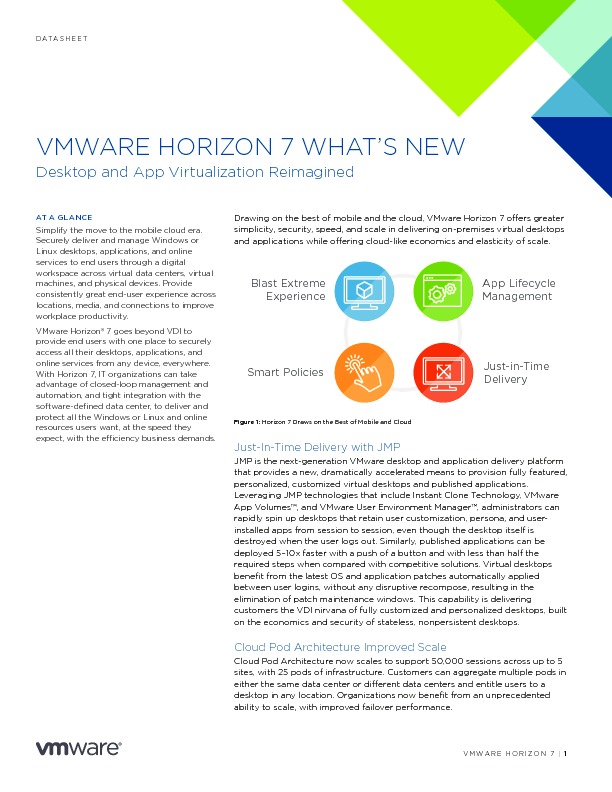 Desktop and application virtualization technology has been available for many years, and many organizations have used it to transform their end-user computing. Faster application delivery, enhanced data security and reduced costs are just a few of the benefits reported by its adopters. And yet, for many, it has still appeared too complex, costs have not been clear and concerns about user experience have held back its use. 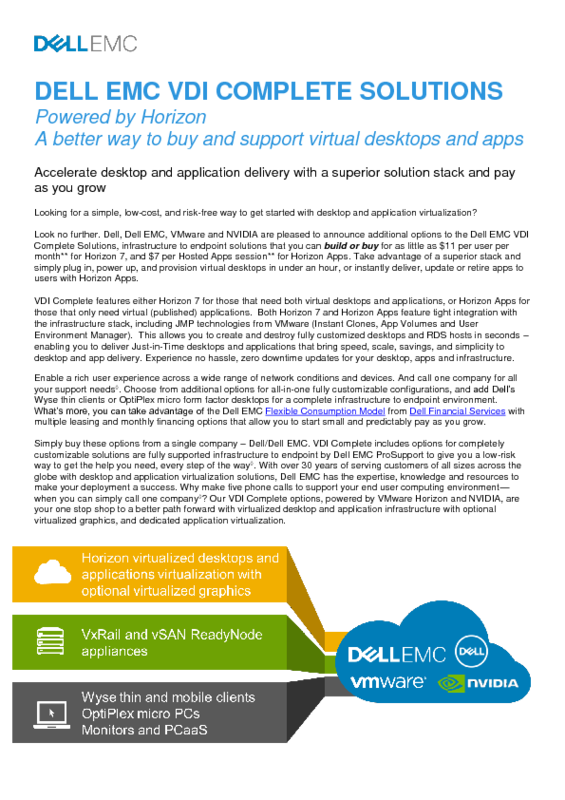 Dell EMC VDI Complete Solutions is a new way to buy VDI – and makes it fast, simple and complete. 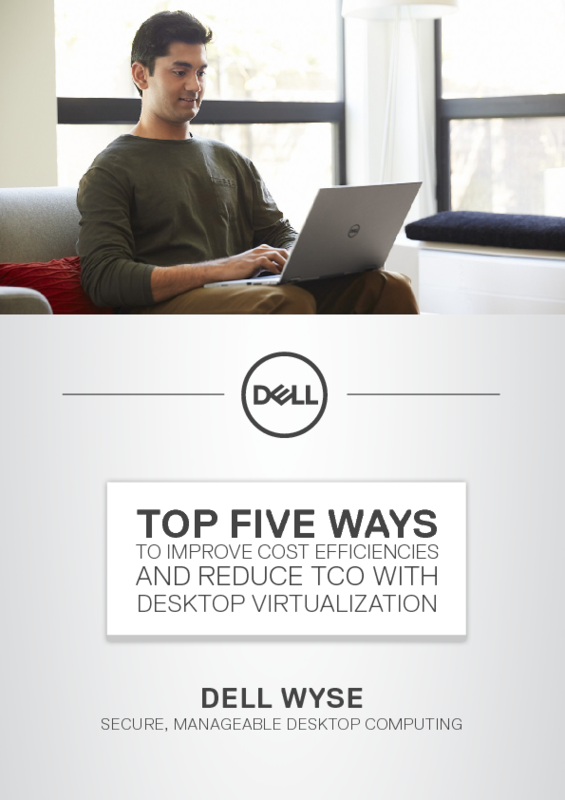 A choice of Dell endpoints including Wyse thin clients, laptops and PCs Together these make VDI projects predictable – costs are clear and rich user experiences will delight users. VDI Complete delivers savings of up to 39% compared to buying the components separately. Through Dell Financial Services, this can be made an Operating Expense (OPEX) instead of a Capital Expense (CAPEX). 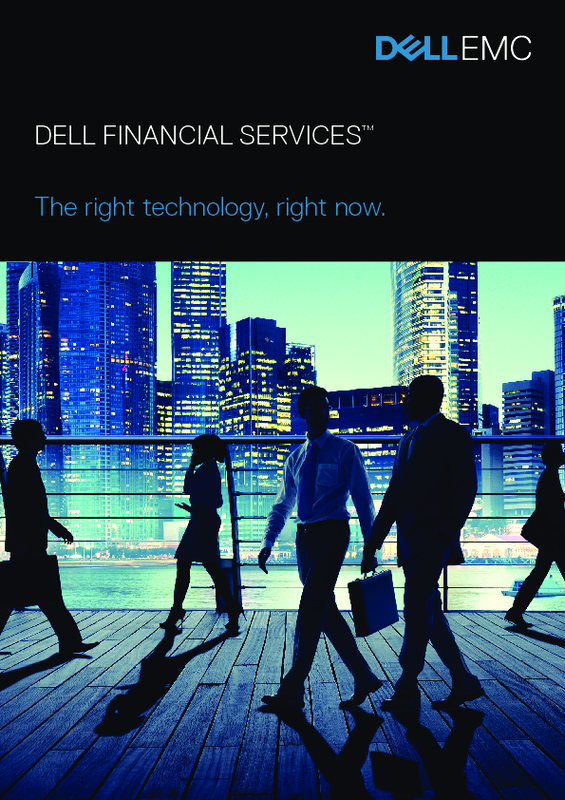 Dell Financial Services offer a range of payment solutions to best meet your budget needs. As with any new technology, you will need to understand how it best works in your organization. Maybe start with a desktop refresh project for one department or location so you can see the benefits VDI can deliver. Once you are familiar with VDI Complete, we are confident you will want to use it elsewhere in your organization. VDI Complete is designed to scale easily – you simply add additional capacity by adding more hyper-converged appliances. Software defined storage means you do not need to predict future storage requirements or make large upfront storage investments – your storage capacity will grow with your VDI Complete deployment. And of course, if you are using Dell Financial Services, you will pay predictably as you grow. 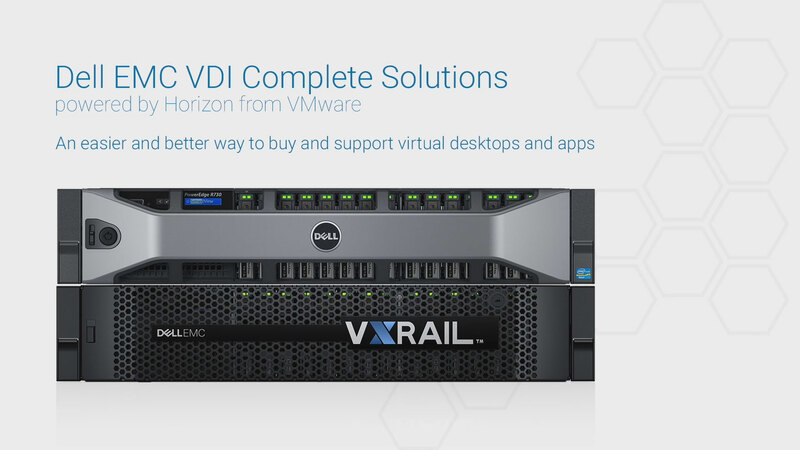 VDI Complete Solutions are fully validated and supported end-to-end by Dell EMC and through our partners. Choosing a complete solution from Dell EMC reduces risk and simplifies purchase, deployment and ongoing support. Interested? 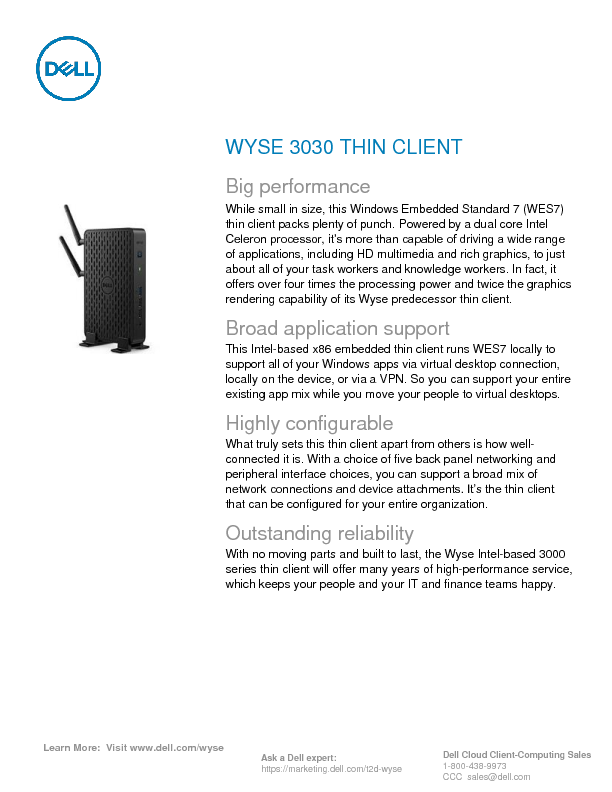 Then read our VDI Complete Solutions overview and the related articles below.